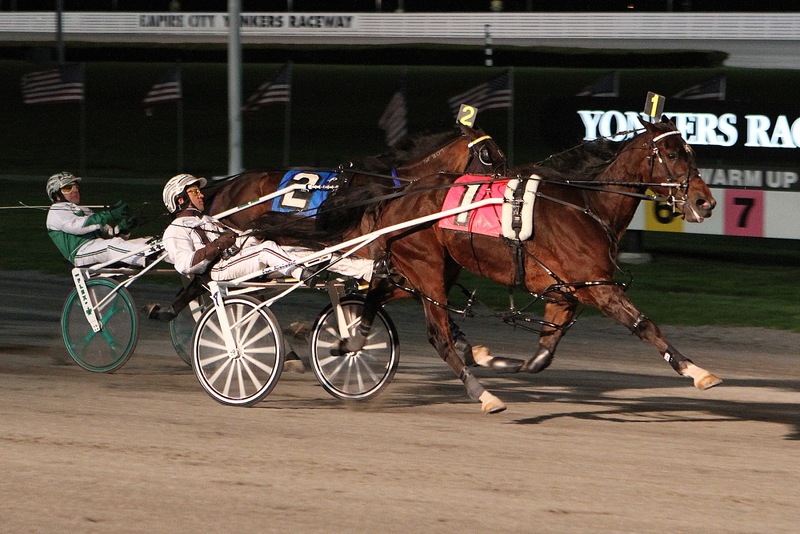 The Matchmaker and the George Morton Levy finals were the focus of April’s end at Yonkers. The “Levy” offered two events before the final but only the favorites knew their ways to the winners’ circle. The best we did was have EZ Noah for third in the Levy Consolation, won by the favorite Shoobees Place. The big choice, Razzle Dazzle, won the final at even money; Eighteen was off the board in the Levy-eligible as favorite Rockincam won. We nabbed the Matchmaker Consolation with Handsoffmycookie at a generous price of $8.20 but our choice in the final, Ramona Disomma, was fourth at 9-1 (the second choice won). The Ron Burke favorite, Charisma Hanover, won the Courageous Lady at Northfield, taking full advantage of the rail and making the chalk-players happy with a under-whelming $3.40 win mutuel. It figured, all right, but as usual, we went against the grain, looking for value, and Cams Macharena went off at 12-1 to satisfy our wager. She was locked on the outside to three-quarters and tanked, as most do on the half-mile, especially against a top choice with a popular driver (Dave Palone) making it more attractive. The second choice finished second. The exacta paid a paltry $6. Keep an eye open for Cams Macharena, she will show her stuff and perhaps pay a good price, soon. Here are the results of all the wins this past week from the extraordinary H2W list, exclusive to TwinSpires. It was a monster Friday at Buffalo, which produced significant profits. Come back on Thursday for more great contenders. At Buffalo, Native Roots and MS Heather M completed a Daily Double worth $354.50. Maddy’s Fantasy saw the public choice finish second for an exacta worth $19.20. If you follow horses for a third time, once they leave the list, you may have had Sun Rei at Northfield, who came back after failing twice on the H2W, won and paid $61.80. Our Ella won with Tiger Would Too second at Vernon for an exacta worth $20.20. Captaintreacherous, the most awaited sophomore pacer in years, qualified at the Meadowlands on April 27 in 1:52, going a final quarter of :26.2, breezing. The Somebeachsomewhere colt is the winter-book favorite for just about all of the major glamour-boy pacing stakes this year. The colt that defeated the “Captain” in the Breeders Crown, Rockin Amadeus, qualified that day in 1:51.3. Last year’s great but disappointing equine pacing sophomore, Sweet Lou, returns at four this season. He qualified on April 27 in 1:51.3, pacing a final quarter of :25.4. Sweet Lou campaigns for Team Burke again this season. Other stakes performers from last season qualified at Pocono last week. Bolt The Duer, Economy Terror, Waiting On A Woman are promising sophomore pacing colts among the winners. Tioga Downs is set for opening day of its 2013 race season on Saturday, May 4 (Kentucky Derby day) with a post time of 5 p.m. In Canada, harness racing moves to Mohawk Racetrack on May 23. The 2013 Ontario Sires Stakes (ONSS) schedule is now available. The schedule was drafted with the racing information known at this time and participants are advised that the dates and locations are subject to change. Draw dates and times will be added to the schedules and results section of the website in early May when that information has been finalized. To view the schedule, please click here. A late-closing series for trotters racing under saddle features a $25,000 final on Hambletonian day, Saturday, Aug. 3 at the Meadowlands Racetrack. 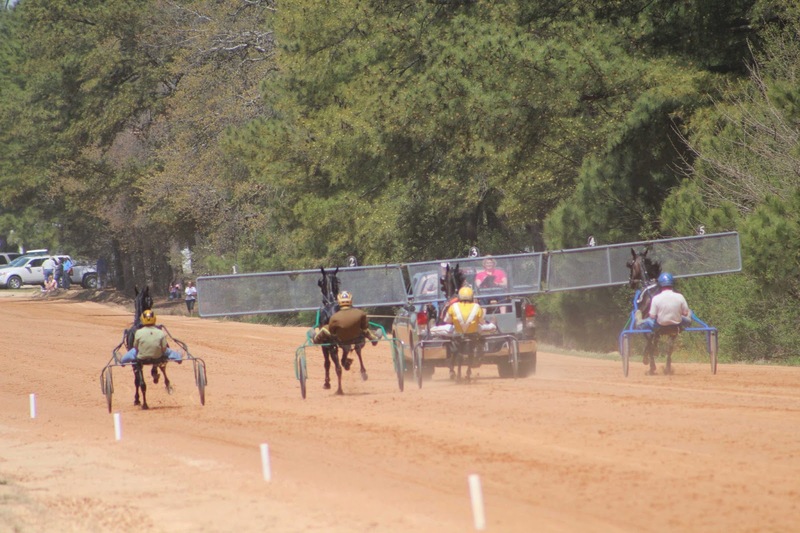 Monte racing, a hybrid of harness and thoroughbred racing is a popular pari-mutuel sport in Europe, especially in France, where trotters and drivers (who ride) compete under saddle races. The series presents two divisions (July 19 and July 26), each worth $10,000, to decide the field in the final.